Jackson I. Case, the only son of Jerome I. Case, was followed by four sons, Jerome I. Case, Roy I. Case, Harry J. Case and Percival F. Case. Percival F. Case, called P. F. and Perc by his friends in West Texas was the youngest grandson of J. I. Case. He was born in Racine, Wisconsin to Jackson and Henrietta Roy Case in 1895. Although his interests lay in agriculture, he received an engineering degree at the University of Wisconsin. 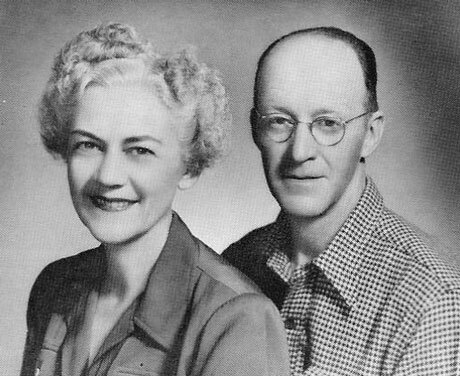 After service in the U. S. navy during World War I he married Ruth Miller of Chicago, Illinois, whose father, Fred H. Miller, the son of a German immigrant, founded a successful printing firm in Chicago. P. F. Case worked for a Chicago Steel firm and he and his wife Ruth established their home in Evanston, the first suburb north of Chicago. It was there that their three children were born. Henrietta Ruth in 1924; Frederick Harry in 1927; and Helen Caroline in 1929. As mentioned earlier, P. F. Case had an early and persistent interest in agriculture, and several trips to Schleicher County, Texas only lent fuel to his desire. During the mid-thirties, spring vacations found the entire family enjoying visits to Texas. In 1937 the family moved to the new home built on the Case Ranch property. Located 15 miles northwest of Eldorado and seventeen miles south of Mertzon, the ranch home was built on the edge of the Eldorado Divide, looking west over the rolling live oak hills. A comfortable home in a beautiful setting, the Cases settled in and learned the business of ranching from experienced neighbors. 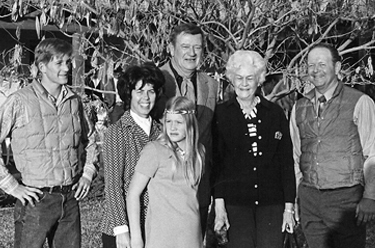 In 1941 Case Ranch entered into the Registered Hereford business, and P. F. Case and his son Fred operated the ranch as a partnership until the elder partner's death in 1961. Fred then continued the operation of the ranch and the development of the Registered Hereford herd. Herefords from this ranch have gone into forty states, Canada and Mexico, but even more significantly, they are recognized as a prime source of quality. Fred Case and wife Laura Mae Nicholson (Nicky) from Silver Spring, Maryland and their son Peter Frederick (Pete), operated the Case Ranch and the Registered Hereford herd from 1961 until 2010, when Pete and his wife Angela took over the operation.